It is no surprise that combination products are occupying a more substantial market segment. This shift is altering the relationship between pharmaceutical manufacturers and drug delivery technology providers. They are no longer separate entities developing individual products, but rather two parties collaborating early, and often, to ensure self-administered therapies are safe, easy-to-use and effective. With a combination product, the patient-facing features remain the most important element, but collaborative efforts that address potential regulatory challenges are also critical. 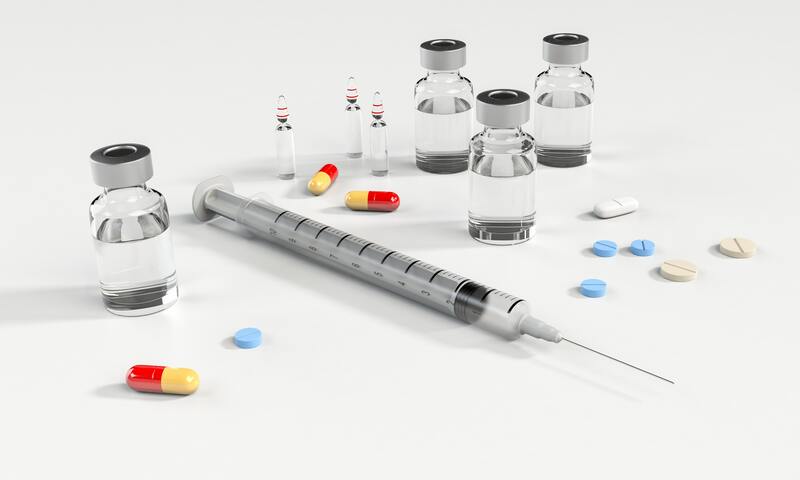 As such, direct attention must be given to ensure the drug and delivery platform meet compliance standards, both individually and once they are combined, throughout the development, testing and marketing phases of combination products. The need for early collaboration is especially important when a combination product is to be marketed in multiple countries. The move to a “single team” approach can pave a smoother path through the regulatory submission and approval processes, reduce the amount of time it takes to get combinations products to market and better position both parties for product updates and future products across the globe. To realize the full potential of a partnership, start early. Collaboration should ideally begin years before the initial interface. This allows pharmaceutical companies and drug delivery technology providers time to learn each other’s processes and effectively develop an end-to-end timeline. In order to be create a timeline that is optimal, it should take the drug and device development stages into account. The best collaborative efforts have no definite end date. Should problems arise, having a history of working together will create the opportunity for easier mitigation. Having a single team with representatives from both companies drives more innovative revisions and, in some cases, creates a faster path to market for new combination products. Without that collaboration, combination products will be less successful and the companies will be less prepared to quickly address the challenges that will inevitably occur. Transparency is also critical. Both parties should welcome difficult discussions to ensure issues are resolved sooner rather than later. Resolving problems early on makes the collaboration more profitable as the relationship grows. The infrastructure of the collaboration should be supported by four key pillars: strategic alignment, proactive regulatory awareness, lifecycle support and continuous improvement. In today’s world, pharmaceutical manufacturers and their drug delivery technology providers are often global organizations. As a result, they need to be keenly aware of each other’s business and technical imperatives across regions, as they may vary in the multiple countries in which they operate. For example, consider the level of information required at an early clinical phase. Such data may not be the same from one geography to another. Regulatory support functions should be adaptable and specific to the needs of each party relative to where the product will be marketed. Being aware of the potential challenges each party might face can eliminate potential delays in approval. In addition, a productive rapport should be maintained with regulatory agencies around the world. For many combination products, it may be necessary to have experts who understand current regulations in all potential countries where the combination product may be available. Maintaining an awareness and engaging in productive dialogue can provide regulatory departments with the knowledge to further enhance the quality of its regulatory information. Once again, this translates into more effective support for regulatory submissions. Regulations can evolve quickly. Therefore, in addition to having expertise related to current regulations, it is just as important to look ahead and try to anticipate potential changes and emerging trends. Regulatory affairs departments should monitor global regulatory trends and share their findings with one another to address potential changes that could affect approval. Even after a combination product has been introduced, it remains important for all parties to remain diligent in keeping up with regulatory trends, as such changes could impact plans for product revisions – and in some cases, force a revision sooner than later. By combining each party’s expertise and strategic planning, regulatory departments from the pharmaceutical manufacturer and drug delivery technology provider can assist one another to provide proactive support as changes to regulations are being considered and eventually enacted. The process of creating a combination product takes years. To ensure an optimal product reaches the market, pharmaceutical manufacturers and drug delivery technology providers must provide strategic support throughout all stages of a combination product’s life cycle, including drug discovery, development and all phases of clinical studies, as well as commercial and post-commercial activities. Comprehensive regulatory expertise and submission support should span all phases of the lifecycle across every country the combination product will be made available. This approach becomes especially important as the manufacturer progresses from clinical development into marketing approval and beyond to post-approval maintenance of their applications and licenses. In addition to implementing strategic alignment, keeping tabs on regulatory trends and changes and instituting lifecycle support, both parties must monitor their own processes and manufacturer outcomes and share data with the greater team in every country where the product will be available. That information should be used to articulate areas where improvements can be made to reduce potential regulatory impediments and foster an environment where continuous improvement is encouraged and expected. By applying a continuous improvement approach, the combined team can ensure that their regulatory affairs models evolves to support changing needs and agency requirements in every geography. The result is a higher-quality combination product improves the quality of care for those who everyone involved are working for, patients.